Coolest police car in 2018? 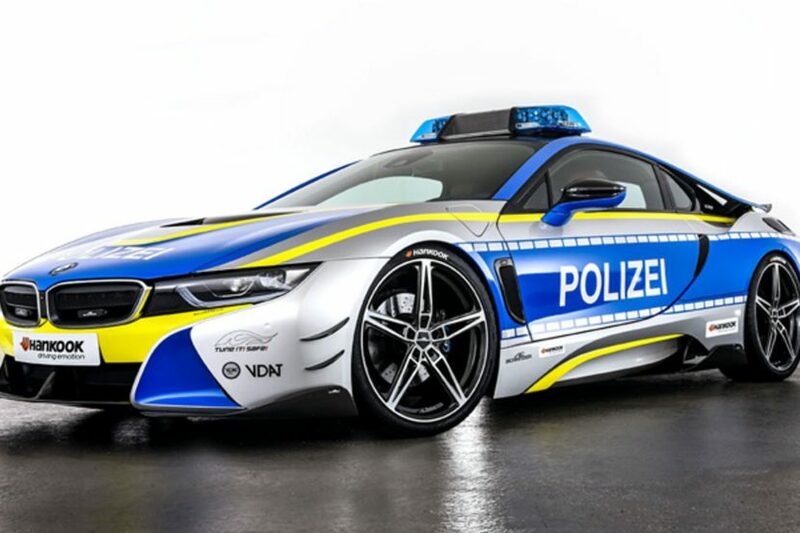 Welcome the AC Schnitzer BMW i8 Polizei! If the US gets some of the ugliest, yet pretty powerful police cars, the rest of the world gets to enjoy the likes of BMW, Mercedes and even Lamborghinis when it comes to chasing alleged criminals. 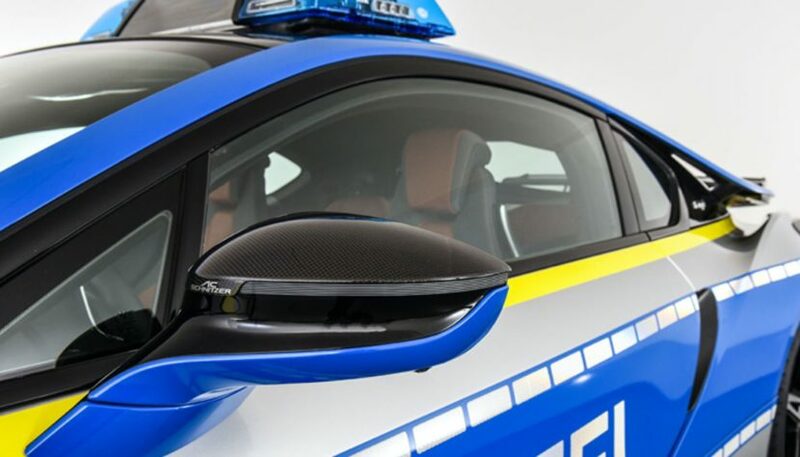 So it comes as no surprise that German tuning shop AC Schnitzer has once again decided to create their own version of a police car. 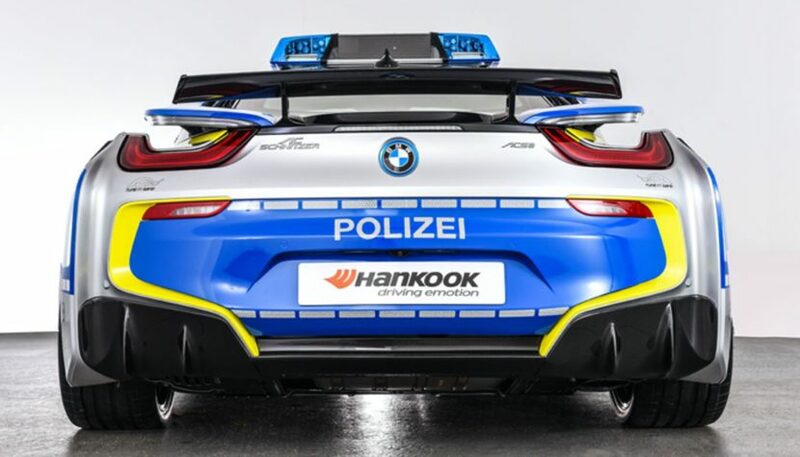 Welcome the AC Schnitzer BMW i8 Polizei, a car introduced today a the 2018 Essen Motor Show as part of the initiative TUNE IT! SAFE! of the Association of German Automobile Tuners e.V. (VDAT). This campaign is also supported by the Federal Ministry of Transport and Digital Infrastructure. The aim of the initiative is to combat illegal and unsafe tuning with a nationwide campaign. 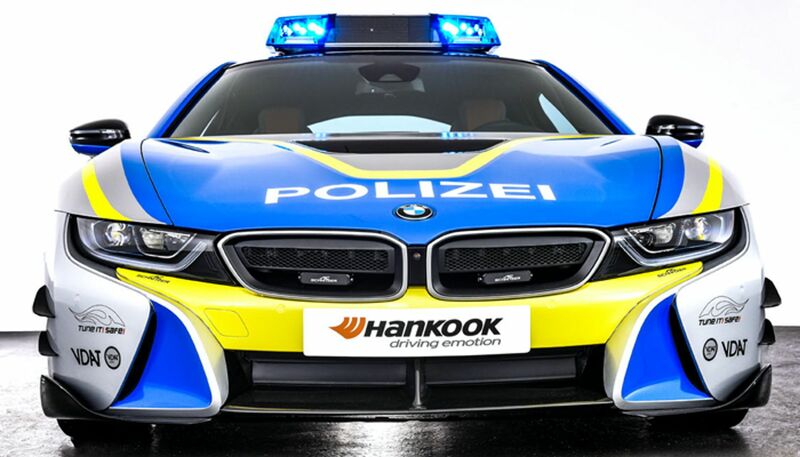 The Polizei BMW i8 hybrid sportscar wears a cool and flashy police livery, thanks to a vinyl wrap. Other upgrades to the i8’s design include AC Schnitzer carbon-fiber accessories for the roof, front spoiler and canards, grille, mirror covers, air outlets and side skirts. The “Racing” rear wing and the three-part carbon rear diffusor improve the suction effect in the underbody area of the i8, resulting in a better pressure distribution, which provides even more downforce. Inside, an aluminum shift paddle set, an aluminum pedal set and the aluminum cover for the iDrive emphasize the lightness of the interior design and at the same time the elegant appearance of the Police BMW i8 TUNE IT! SAFE! by AC Schnitzer. The AC1 lightweight wheel set saves approximately 4.4 kg weight per wheel. The 21-inch AC1 Lightweight Forged Wheels in BiColor (or optionally anthracite) were specially developed for the i8 series. 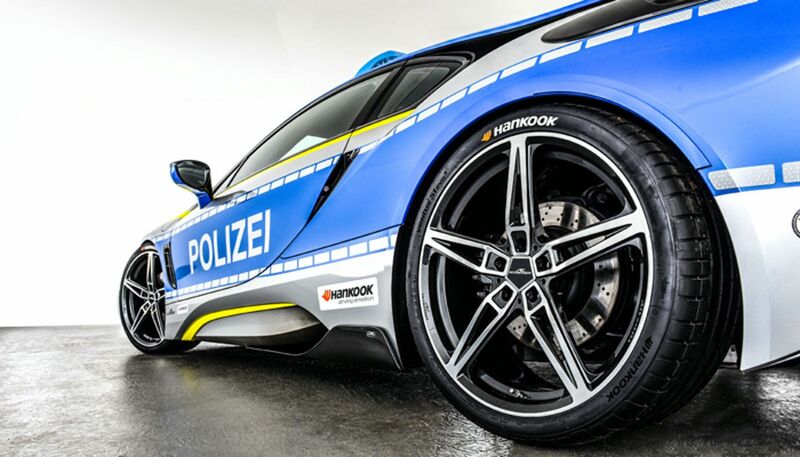 The i8 Polizei by AC Schnitzer was also lowered by approximately 20 mm on the front and rear axle, thanks to an AC Schnitzer spring kit. On top of the roof, the AC Schnitzer BMW i8 gets a light bar and a set of Hella lights that project the AC Schnitzer logo. No power upgrades were announced, so it’s fair to assume that the i8 has the standard 1.5 liter turbocharged three-cylinder engine, making 228 hp and 236 lb-ft of torque. The electric motor that powers the front wheels makes 141 hp and 184 lb-ft of torque.